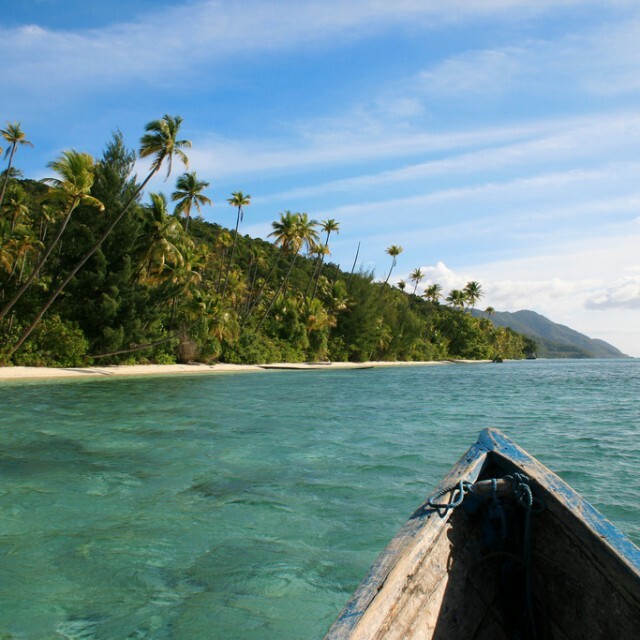 Sumatra Is A Tropical Paradise In Indonesia. | Travel Photography Blog by Nisa Maier and Ulli Maier. What the first thought that comes to your mind when thinking about Sumatra? Many of us will associate Sumatra with events from a few years ago: the Tsunami in 2004, the earthquake in 2009 which rattled Padang really heavily, some volcanic eruptions and also a few bad plane crashes. Yes, all these things happened (and some of them still do) but Sumatra still has so much to offer for interested travellers. Gunung Kerinci is an active volcano and with 3.805 meters it’s also the highest mountain yet still (more or less) easy accessible. With the occasional eruptions, the walk through the rainforest is incredible because the flora there is so rich and beautiful. Gunung Leuser National Park is still a true virgin rainforest – thanks to the difficult terrain. The park is a world heritage site since 2004 and a great choice for trekking or watching the wildlife. Bukit Lawang was the most famous Orang Utan Rehabilitation Center, which adjacent to Gunung Leuser National Park, but since a torrential flash flood swept through the valley in 2003 (a few tourists and about 250 locals died & the entire village was destroyed) the Orang Utan (translates: Orang = person, Utan = forest) Center was relocated to Bukit Tigah Puluh National Park. This park is about 200 km East of Padang, where you can even see the rare Sumatran Tiger. This National Park is not so well known and a good way away from the beaten path so therefore everything is much more authentic and a bit more difficult to access. Unfortunately Sumatra is not spared from deforestation (of course). It is threatening the entire area around these wonderful National Parks. The land is cleared for planting oil palms (elaeis guinneensis) and teak. Sumatra also offers you some really beautiful lakes: the most famous one is Danau (= lake) Toba with a very large island in the middle. Lots of guest-houses wait for exhausted travellers and it’s a a really nice area to rest for a couple of days. We visited Danau Singkarak on our last trip to Sumatra. We drove around by motorbike along the rice paddies – it was an easy ride yet we still got to see some wonderful impressions. For example we drive through a couple of villages where thousands of fish were dried along the road (I guess these lakes still contain a lot of fish). 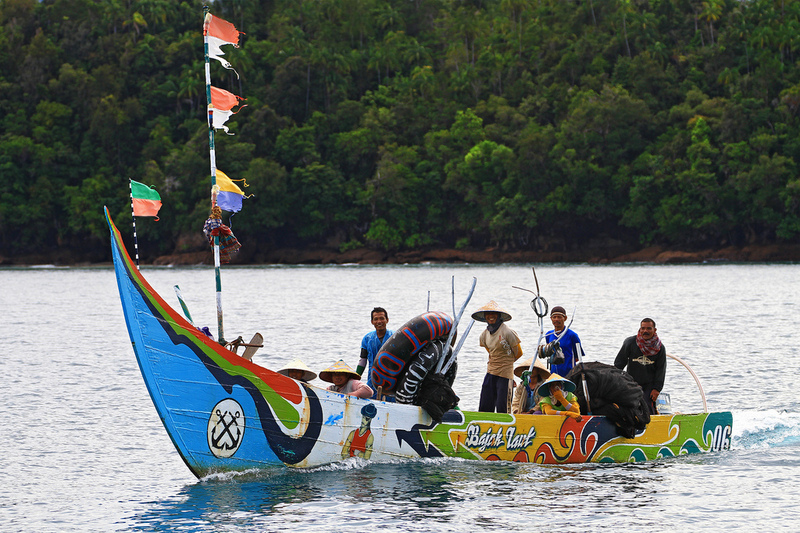 Sumatra is rich in culture and tribal heritage. 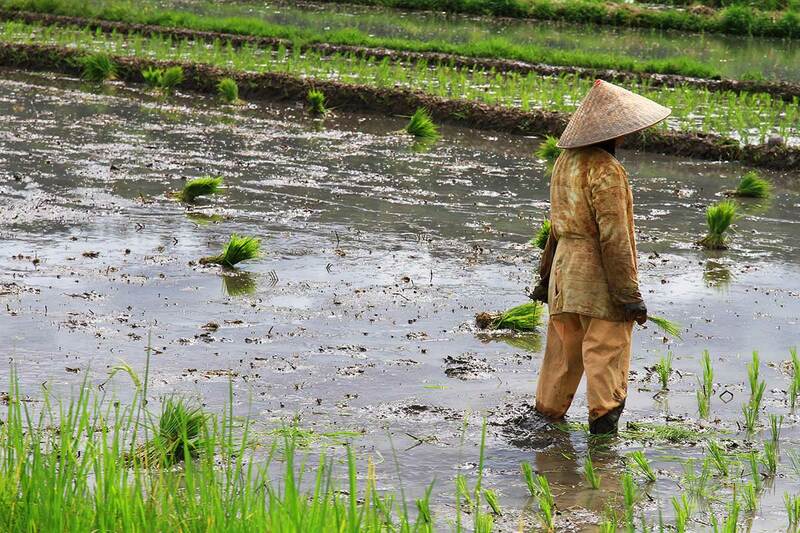 People still use local methods for all kind of their daily routine. For example: to make yoghurt you simply need fresh bamboo, cut it in pieces and fill it up with fresh cow milk. Let it stand for a couple of hours (in the warm climate) and you get the best yoghurt. It was the best one we’ve eaten throughout our southeast Asia trip! Milk products are one of the few things that we really miss during our travels, so this is a good recipe. And then of course there are the beaches … lots of wonderful tropical beaches. 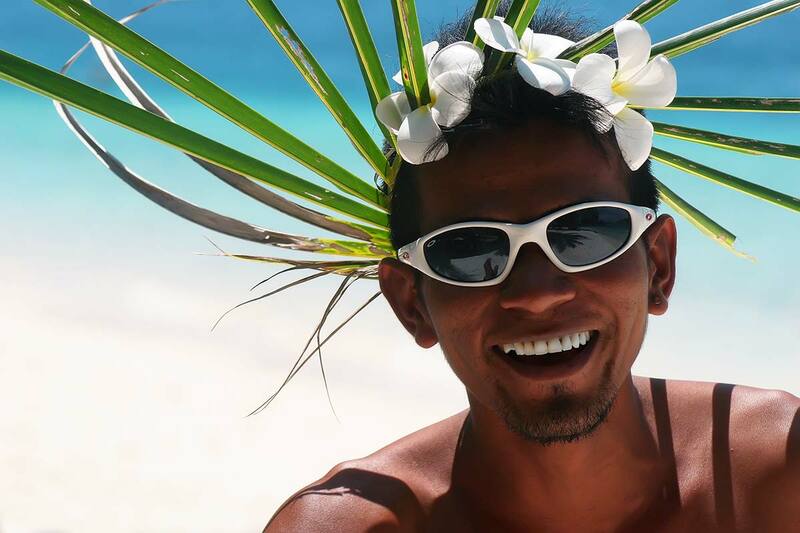 We’ve seen many many amazing beaches during our years of travelling but Sumatra’s coast (plus the Mentawai Islands) truly is one of the best places for a beach adventure – without breaking your budget. The surf is abundant and one of the best surf spots in the world (Nias) can be found on these islands. 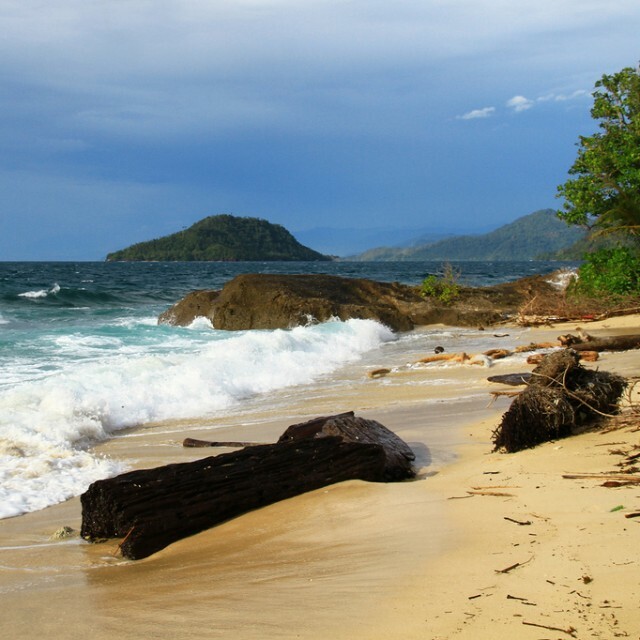 Sumatra has thick virgin forests, lush vegetation, rice fields, mountain streams, rivers, waterfalls and sandy beaches. 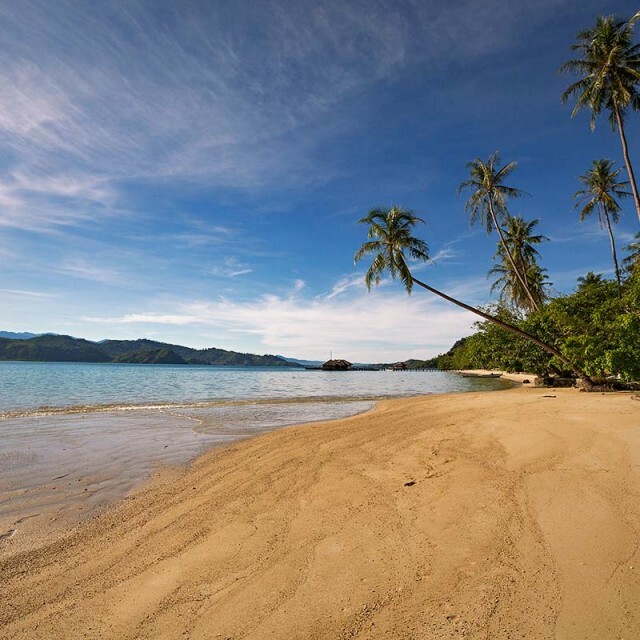 Island hopping in Sumatra is a great way to explore the wonderful tropical beaches. Striking evidence of the earthquake remains in the city of Padang in spots like Pasar Raya, the central market, a massive hulk of collapsed concrete around which vendors have set up hundreds of makeshift shops. 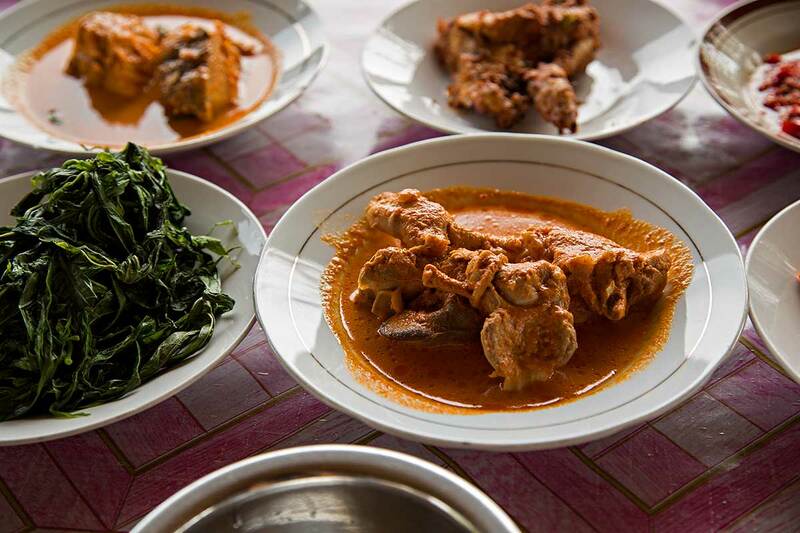 Fish is a staple food across the entire country. 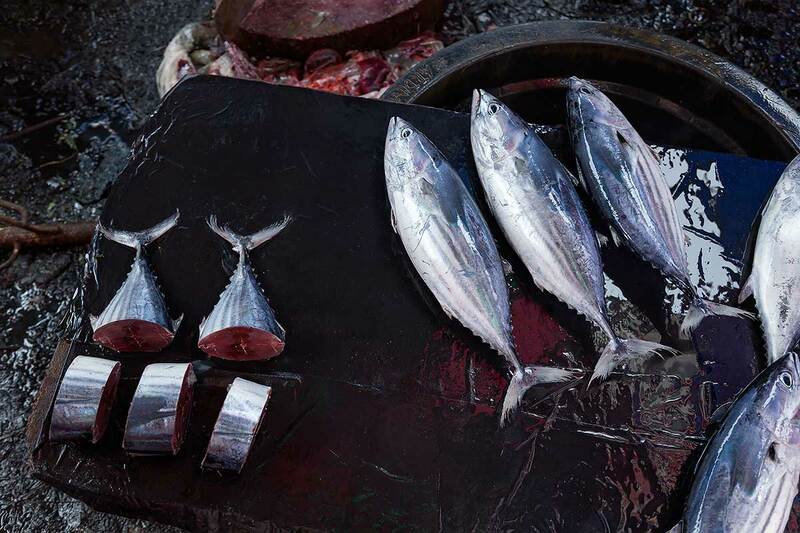 Fresh tuna can be bought at almost every local market in Sumatra. 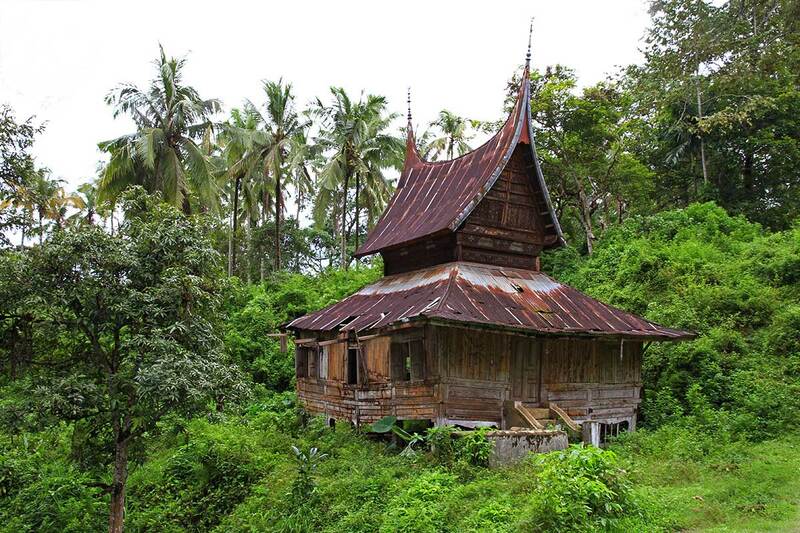 And old abandoned typical house “Sumatra Style”. Jembatan Akar is Indonesia’s Living Root Bridge. 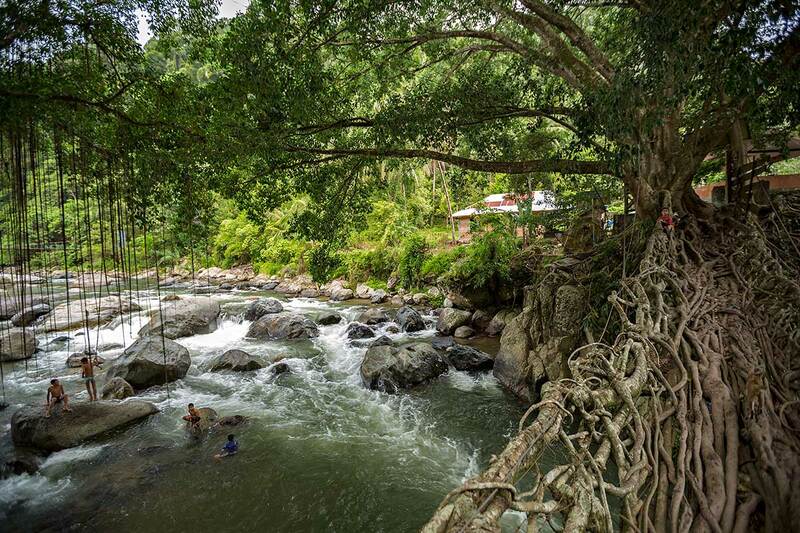 Located over the Batang Bayang river in West Sumatra, Indonesia, a bridge made of living tree roots connects two villages. Fishermen in their typical fishing boat off the coast of Sumatra. 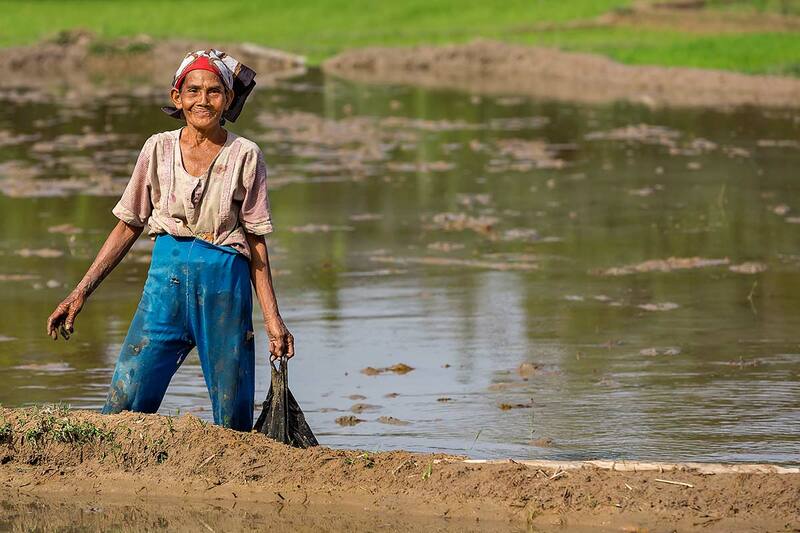 A woman glances up while working in a rice field in Sumatra. 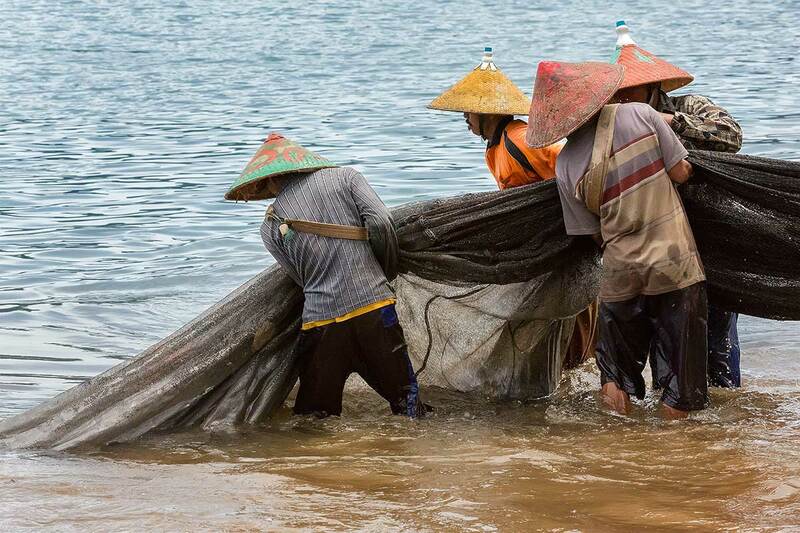 Fishermen pulling in a catch at Bungus beach in Sumatra. 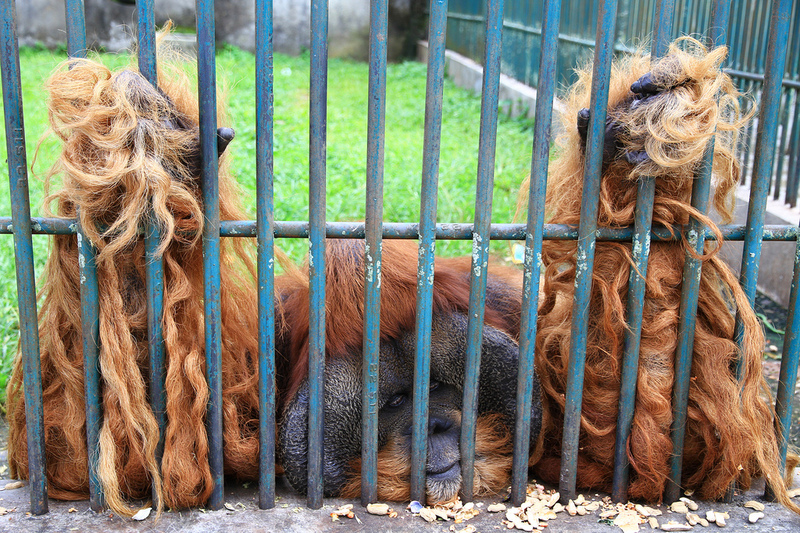 A sad-looking Orang Utan in the zoo of Bukittinggi in Sumatra. Stop animal captivity! 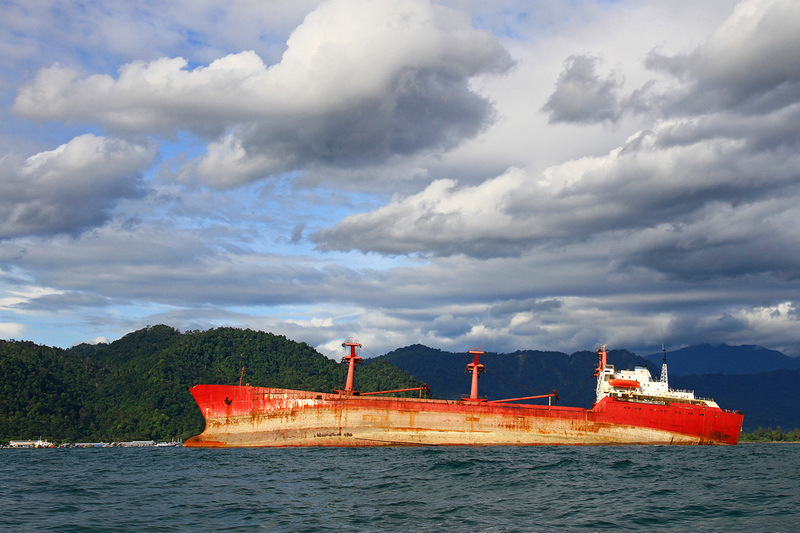 Wrecked tanker ship off the coast of Padang in Sumatra. 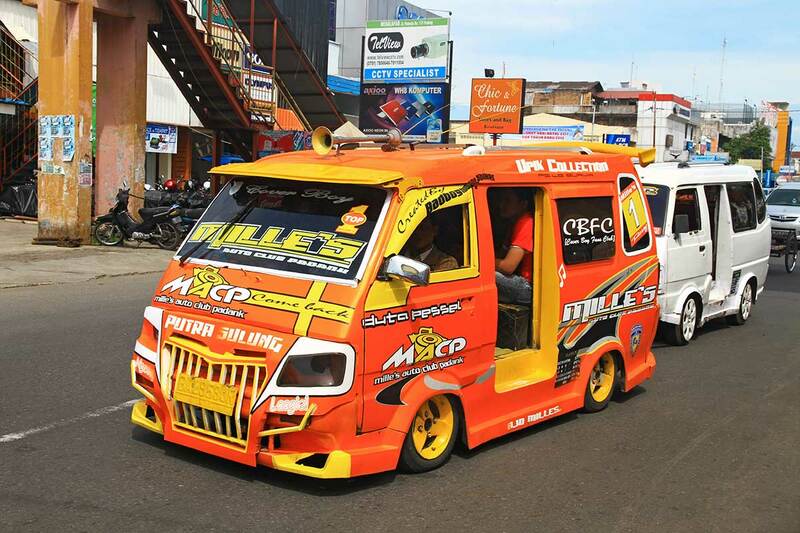 The people in Sumatra (and actually all over Indonesia) are friendly and welcoming. Amazing photos – Sumatra looks gorgeous. Some really beautiful and interesting images here! Thanks Ines. If you ever get the chance, you really must travel to Sumatra. Have a good weekend! 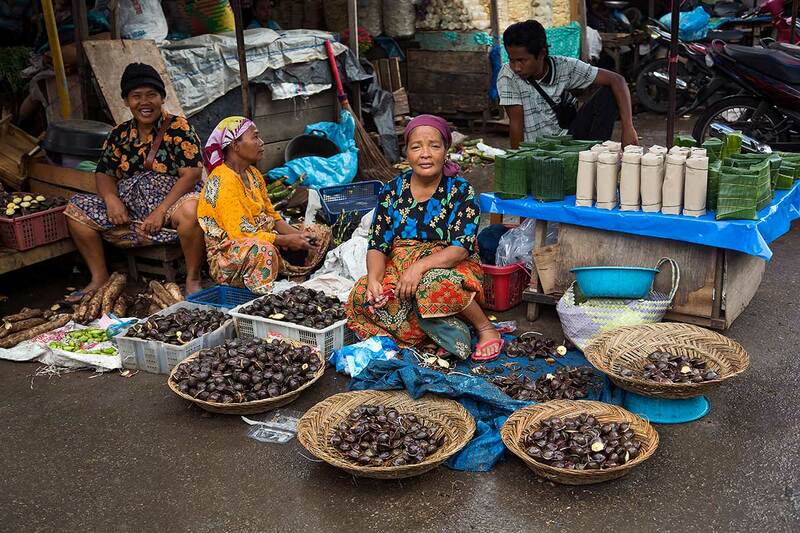 When I lived and worked in Padang in the early 1970s, the central market had some of the best fruit in the world. There was a great variety of bananas, unlike the hybrid banana available in Western supermarkets. 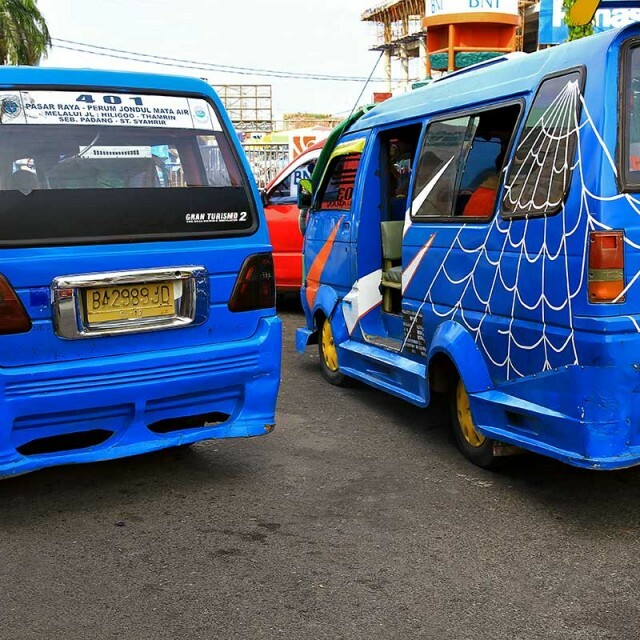 The best was the “green banana”, and I forget the local term (something like “ambon” I think). It is long and thick and looks unripe, but it is the sweetest banana in the world. Also, try rambutan (red hairy fruit) and mangosteen (purple shell, snow white interior). Rambutan are ripe when you see ants crawling on them. Mangosteens are the sweetest fruit in the world. There is also a tiny pineapple, about 1/4th Hawaii size, that is like yellow sugar. Visit the market and try all the fruit.